Ontario made, delicious artisan cheeses since 1908. The Millbank Cheese Factory Outlet Store also offers top quality local poultry, ice cream, frozen yoghurt, butter, gourmet salad dressings, and other fine food products. The locally owned factory and store is located in the picturesque village of Millbank, Ontario. Signature products include Naturally Aged Cheddar Cheese, conventional and organic, and other fine cheese products. Availble in store or by order. Millbank Cheese is pleased to offer a variety of delicious fine food products. From poultry to jams and everything in between. The Village of Millbank is a scenic 20 minute car ride from Waterloo and Stratford, Ontario. Come visit us today. 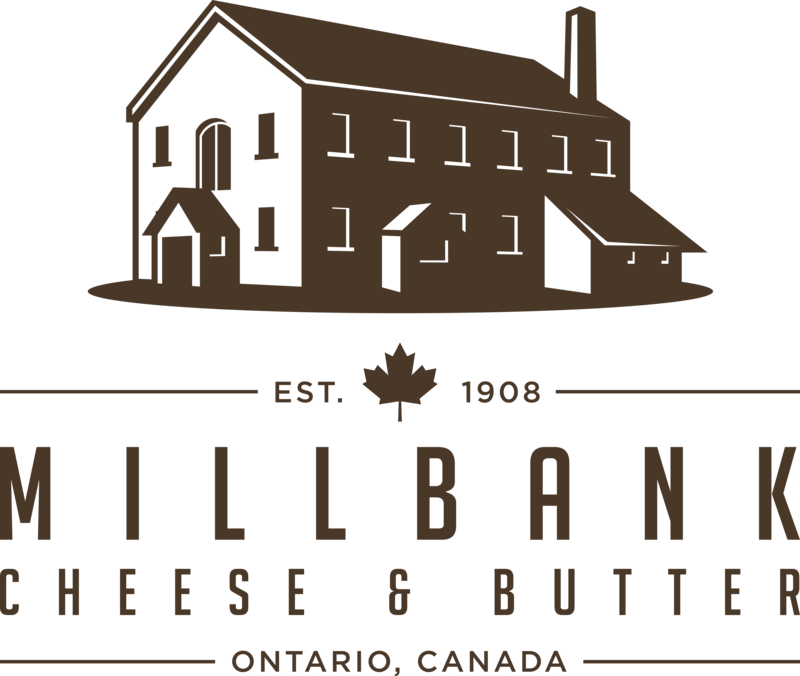 Created in 1908 from a vision held by several local farmers, Millbank Cheese still sells delectable cheese and cheese products, and is a proud part of their community. Choose from the displayed selection of gift baskets, or custom design your own basket with a variety of items. Items of choice include all available cheeses, maple syrup, honey, jams & jellies, Wellesley apple butter, sparkling cider, fruitcake and other items. Millbank Cheese frequently hosts visits from local tour operators. If you are interested in stopping by Millbank Cheese, let us know and we’ll make your visit extra special. Awesome Organic cheese and other local items for sale.